Ok here is the challenge to get our clients www.jetrider.com.au and www.jetscream.com.au more business. Their original sites (not designed by us) are working well but they need to get more traffic. Andrew runs jetrider that provides jet ski hire near the Marriot Hotel in Surfers Paradise. The Gold Coast with its canals and waterways is an exciting prospect for anyone from a city or away from the water. We have decided to work on some new sites with new designs to broaden the traffic that can be looking for their services. By adding our Image Manager system (this article is created by Image Manager) they will be able to add news articles, photo galleries, slide shows, audio (wait for the scream) and video. 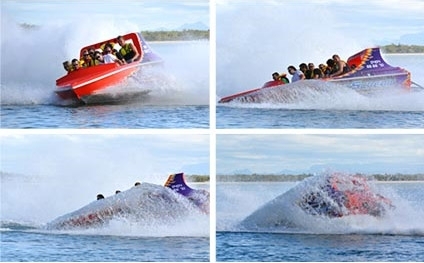 The aptly named jetscream.com.au is all about jet boating - the thrill the excitement the scream etc. hopefully with your lunch still staying where it should. We will use our designer to capture the excitement and encourage more bookings. Looking forward to the results on this one. Update 17-Oct-2011 the Jetrider.com.au site has just had a revamp and the results are very exciting. We used a simple video and actually consulted many people on what people interested in Jetski Hire on the Gold Coast may be interested in. There are actually quite a few details required for a prospective customer so the design reflects this. Thanks to Tim our designer who has done a very good job at getting the details but maintaining the excitement factor.